To take a stab at the Ferrari 250 GT roller coaster, David Brown needed a faster version of the Aston Martin DB4 to stay competitive. 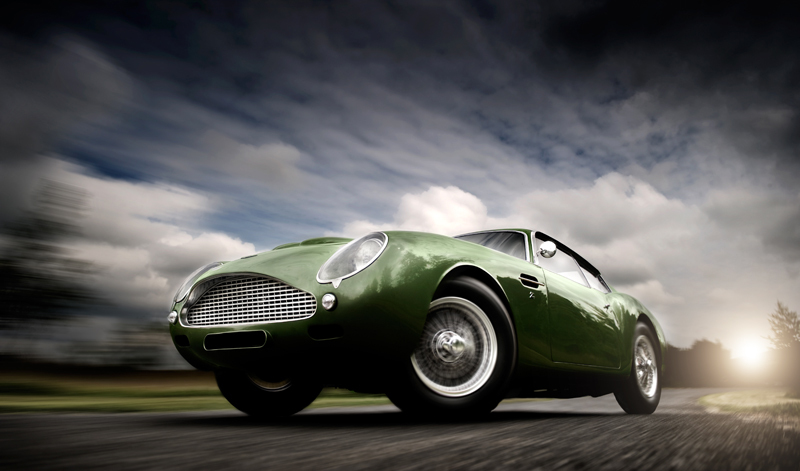 The resultant DB4 Zagato was easily one of the most exciting and beautiful British sports cars. In 1958, the first DB4 was released and received universal acclaim as a successful grand tourer. Much of the DB4 utilized technology from Aston Martins earlier race efforts including disc brakes, an independent front suspension and a Superleggra body. If you would like to own an original piece of Aston Martin Artwork then please visit the site to view the images available.